Storage of wires without tangling, breaking, stretching is a great concern when it comes to coil winding. 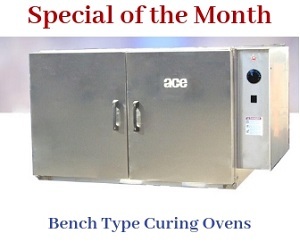 Now, storing of wires is easy and trouble-free with ACE wire racks. Available in two models, wire rack 41 and wire rack 42, they are ideal for storing wires of any length and dimension conveniently. The advantage of these wire racks is that they allow for easy picking of wires, making the winding job quick and easy. 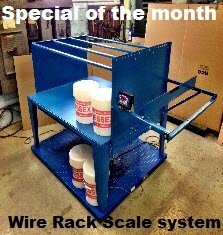 ACE wire racks also act as an efficient material handling system for feeding wires from reels or buckets. They can be used to feed wires up to 14 no of size. The wire rack model no. 42 is available in the below mentioned specifications. Easy Wire Selection – Wire racks are designed intelligently for user’s convenience. The stored wires are guided to the front console panels through eyelets, where specific wire sizes are clearly mentioned. This allows for easy identification and effortless picking of the right wire for an application. Robust Construction – Rugged construction contributing to long years of service. Since, they are precision machined from cold formed sheet steel, they can withstand the aggressive conditions in industrial applications. To improve the strength of the assembly, framing members are reinforced with thick steel fittings. Both the models possess exceptional strength, and are unaffected with extreme stress and impact. Moreover, they possess excellent holding power; hence, can store a large quantity of wires conveniently. They come in light weight configurations. This allows the operator to easily move and install the units anywhere in the facility. Easy Assembly and Disassembly – Wire rack models 41 & 42 are shipped to the users’ doorsteps with a complete set of fasteners. Moreover, user manual is provided with the product containing assembly instructions. Hence, application users can assemble and disassemble the units themselves, without seeking professional assistance. 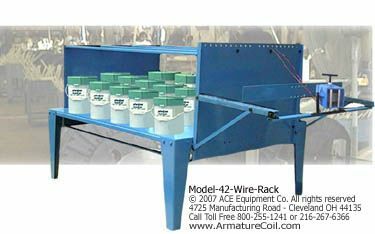 Accessories to Improve the Performance – To improve the efficiency of wire rack models 41 & 42, ACE provides tension devices as accessories. These devices are available in two models two models - No. 44 and No. 45-TD. Both these models are designed to mount the frame that extends 24" from the front of the wire rack. This add-on equipment option, the tension devices, can be procured together with the wire rack or can be purchased individually.